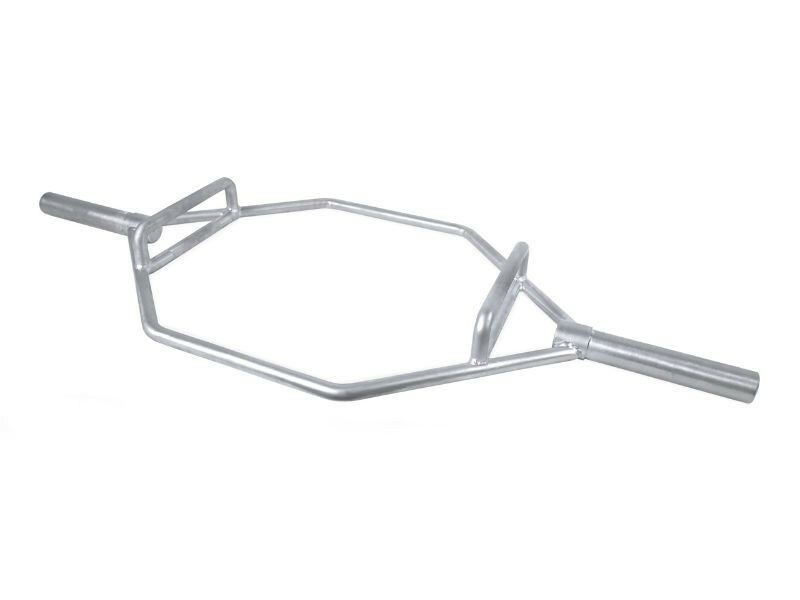 This olympic hex bar is designed in a hexagonal form making it easy to step in and out of the bar, ideal for shrugs and dead lifts. 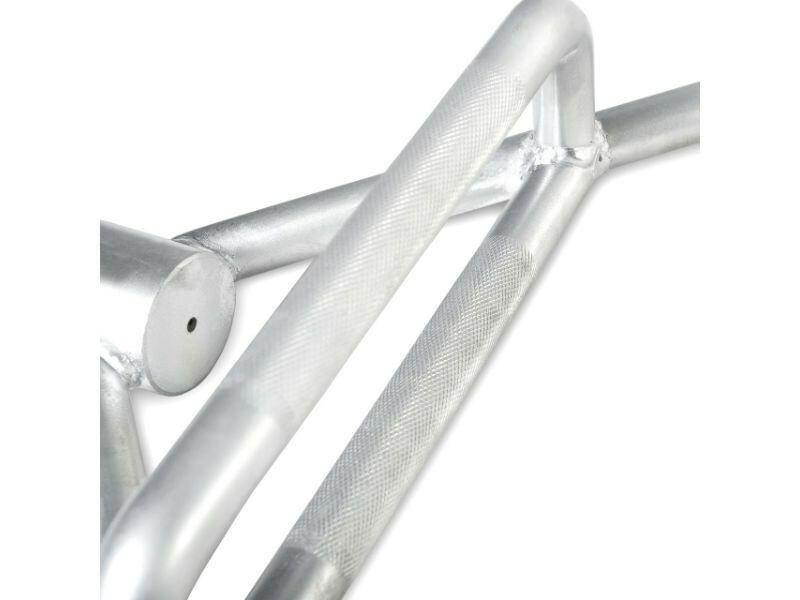 This olympic hex bar, also known as a trap bar, is silver zinc coated to resist rusting and has a solid sleeve design. 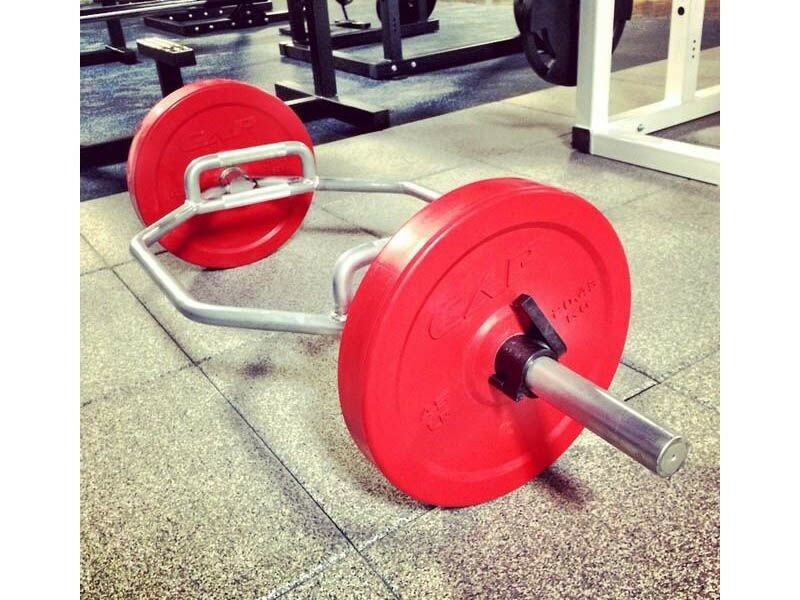 The 9.5" long sleeves will fit (4) of our 45lb economy plates on each side, plus collars, for a total weight including the bar of 413 lbs.